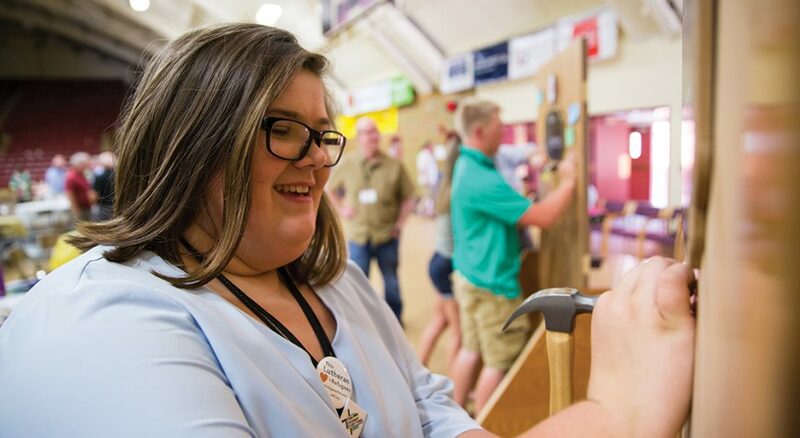 Mira DeGroat nails the way her congregation is reforming their ministry to a door at the Northwestern Minnesota Synod Assembly, just as Martin Luther nailed the 95 Theses nearly 500 years ago. 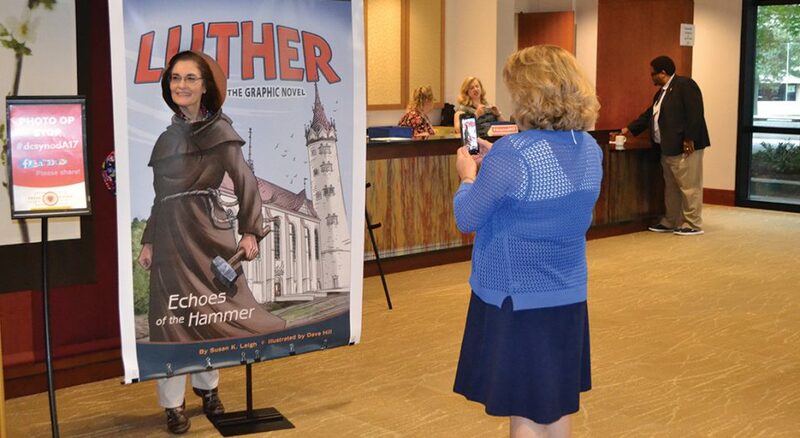 With permission of Concordia Publishing House, the Metropolitan Washington, D.C., Synod Assembly had a bit of social media fun at a photo op celebration of the 500th anniversary of the Reformation. 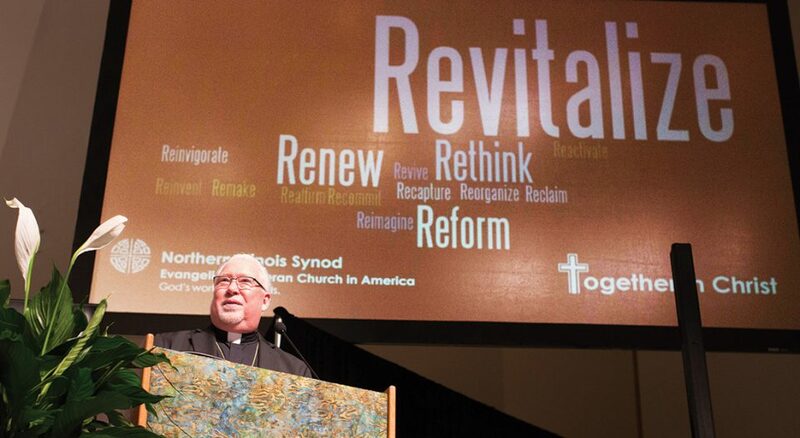 “Revitalize!” was Bishop Jeffrey Clements’ message to the Northern Illinois Synod. After a year of listening and visioning, he encouraged the assembly that the Spirit is alive and well and hard at work in synod congregations. 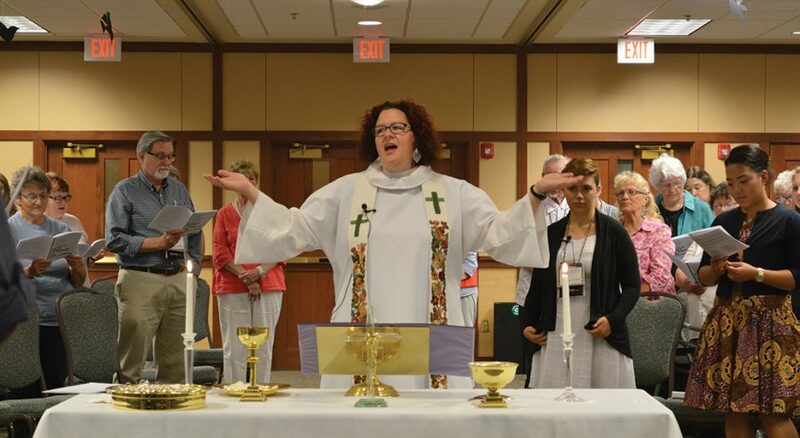 Karyn Bodenschatz, pastor of First Lutheran Church, Onalaska, Wis., presides over the communion table during the La Crosse Area Synod Assembly’s closing worship service on June 11. The liturgy for the service, “Behold, I Make All Things New,” was written by the late Ben Splichal Larson, who died in an earthquake during a mission trip to Haiti in 2010. Robert F. Humphrey was elected bishop of the Virginia Synod on June 11. Elected: Robert F. Humphrey as bishop of the Virginia Synod, effective Sept. 1. When: June 11, on the fifth ballot, with 217 votes. Kelly Bayer Derrick, pastor of St. Philip Lutheran Church, Roanoke, Va., received 167 votes. Bio: Pastor of Zion and Grace Lutheran churches, Waynesboro, Va.; Muhlenberg Lutheran, Harrisonburg, Va. Received degrees from the University of Richmond (Va.) and Lutheran Southern Theological Seminary, Columbia, S.C.
Replaces: James F. Mauney, who retires Aug. 31. 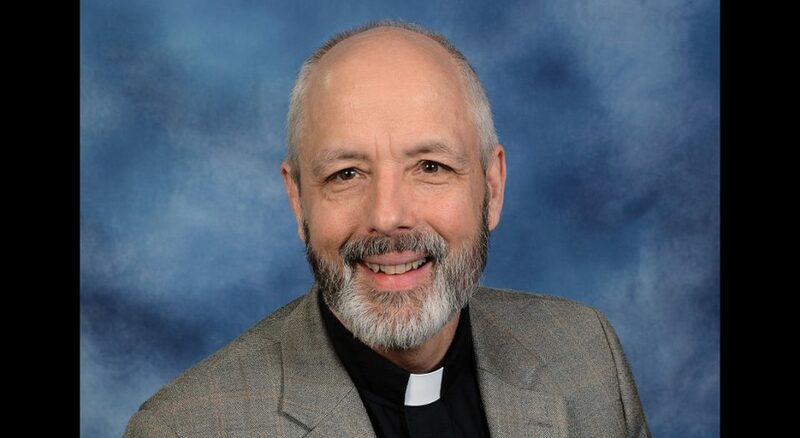 Re-elected: S. John Roth as bishop of the Central/Southern Illinois Synod on the fifth ballot over Tony Metz, pastor of Luther Memorial Church, Quincy, Ill., by a 160-123 vote.